The University of South Florida has partnered with The Sustany® Foundation for years. Their students are part of the green business certification internship. The program allows students to partner with a businesses in downtown Tampa in efforts to make them more sustainable. USF is recognized throughout the nation as an green university powerhouse. USF sustainability has been recognized countless amounts of times in the news. The Patel College of Global Sustainability (PCGS) at USF is the one behind green efforts. The Office of Sustainability coordinates and builds partnerships for university-wide initiatives that advance the University of South Florida’s strategic goal of creating a sustainable campus environment. Not only is PCGS making Tampa greener, but they have students achieving global sustainability. PCGS interns are over in Dominica, Panama, Germany, Ireland, Spain, Peru, Uganda, and Thailand (just to name a few). 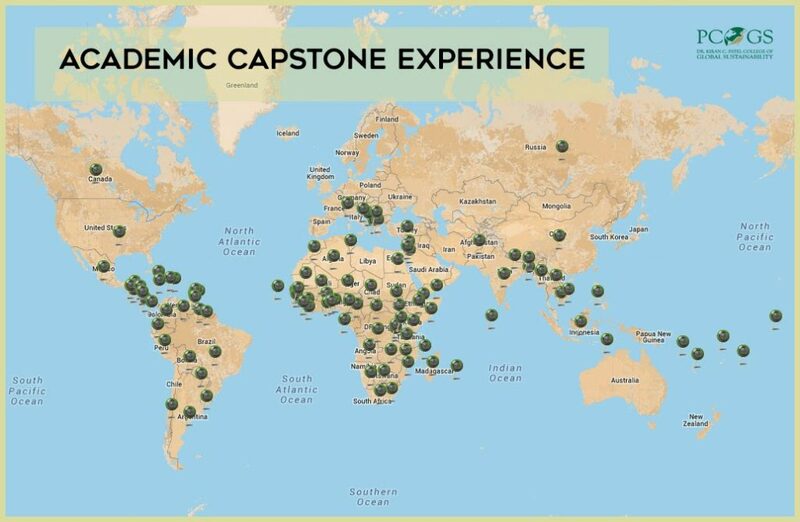 PCGS students in the master’s program have the opportunity to travel across the world for their academic capstone experience to get practical experience, apply a skill set to a real world situation or conduct sustainability research. PCGS currently has nine concentrations students can choose from, five of them being new. If students don’t wish to go through the entire master’s program, PCGS also offers 11 different graduate certificates. Graduate certificates offer students an abbreviated path to a specialization in sustainability. Students that are a part of PCGS certificate program are only required to take 12 credit hours, that is four courses. Four of the programs are offered fully online as well as on campus.